Offering more features than our standard fixed blade snow plough, our adjustable forklift snow plough range comes with full adjustment to the blade, allowing the snow plough to sweep left, right or straight ahead. 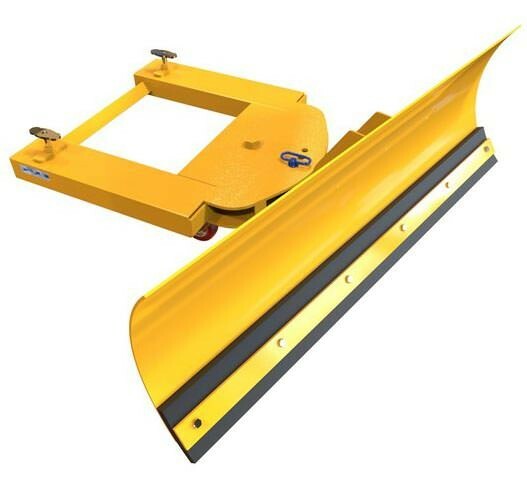 Along with the heavy duty steel wearstrip that we provide with all our forklift snow ploughs, castors and rubber blade inserts are also standard features with this model. The forklift snow plough is manufactured using a heavy duty rolled steel blade, so you can be assured whatever the ploughing conditions (even frozen compacted snow), our snow plough will not let you down.